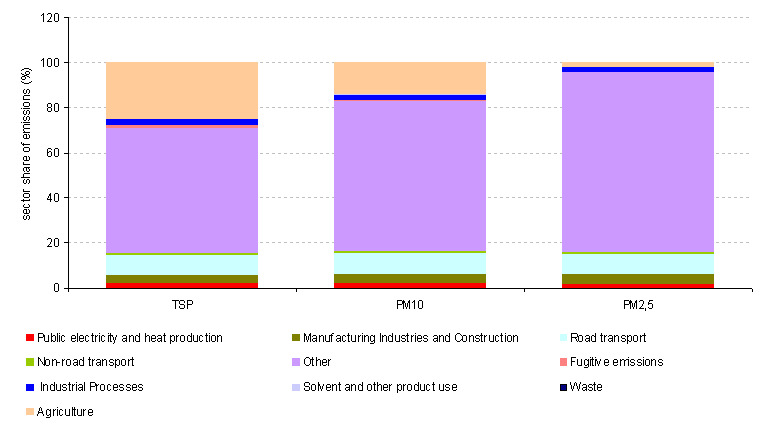 Between 2000 and 2011 emissions of total suspended particulates (TSP) decreased by 7%. 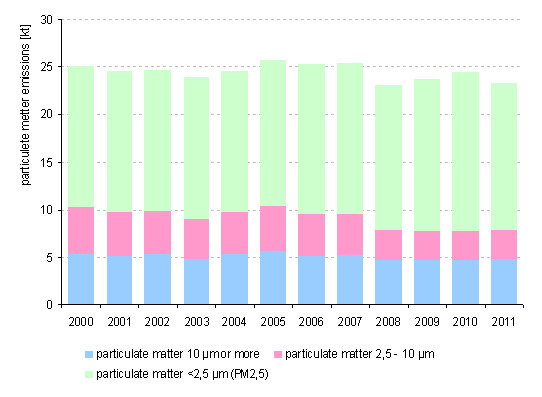 Emissions of primary particles smaller than 10µm (PM10) during the same period decreased by 6% while emissions of primary particles smaller than 2.5 µm (PM2.5) increased by 4%. 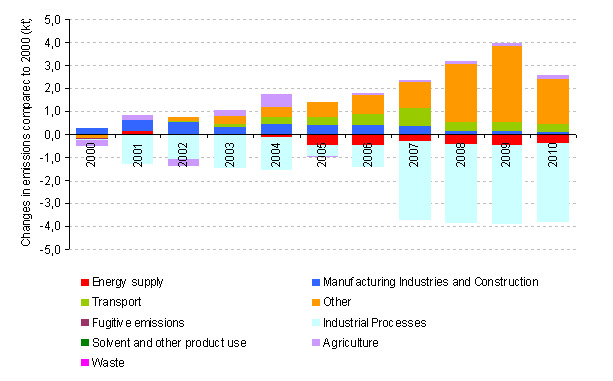 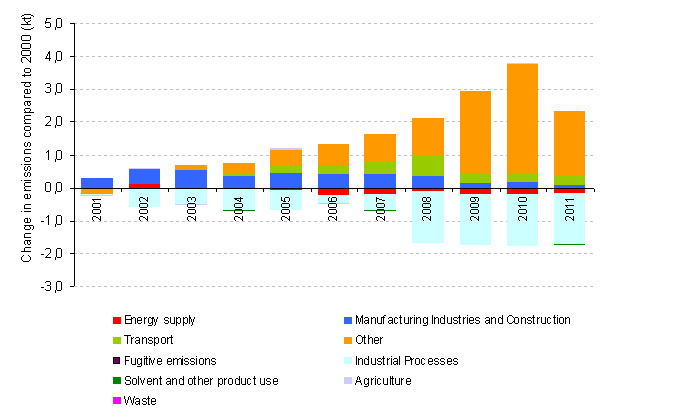 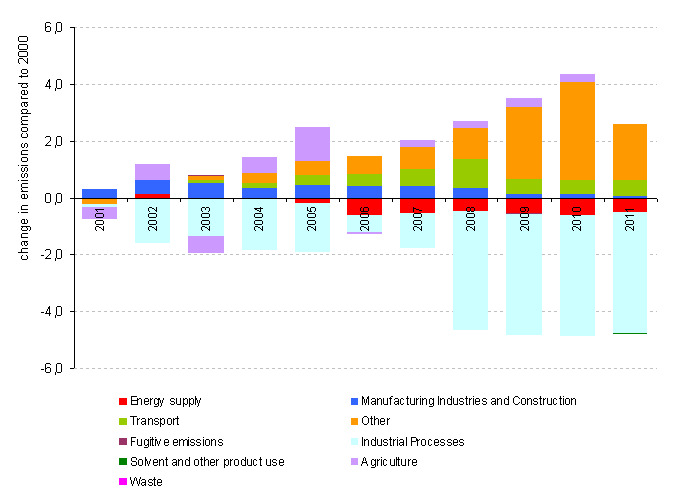 The main source PM emissions are households, mainly because of the use of biomass for heating.